At the Beverly Hills Center for Plastic & Laser Surgery, Dr. Ben Talei, a dual board certified facial plastic surgeon offers patients excellence in neck lift surgery, platysmaplasty or cervicoplasty. Dr. Talei is a leading plastic surgeon who is highly skilled to perform neck lift surgery, as well as other face & neck plastic surgery procedures, that can give new life to your neck and jaw region. As the body ages, the neck area can often become loose with excess fat and tissue. The skin can also lose its elasticity and the muscles can begin to lose structure creating a turkey neck or jowls. This loosening can also be the result of recent weight loss, genetics or simply a part of aging. Whether you need a simple skin lift or platysmaplasty where your muscles are tightened, Dr. Talei will prescribe the best treatment option for you. Each procedure is designed to suit your needs with completely natural, long-lasting results. You will never be pressured into anything you haven’t requested. 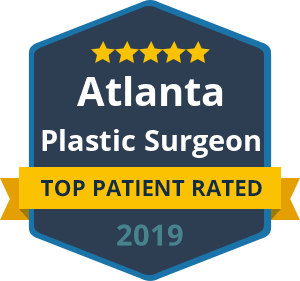 With dual fellowship training in Facial Cosmetic and Reconstructive Surgery, Vascular Birthmarks and Congenital Anomalies with Laser Surgery, Dr. Talei has a keen, artistic eye and delicate hand during surgery. By addressing the deeper tissues in the neck, Dr. Talei can restore your muscles to their original position resulting in a naturally youthful look. This minimally invasive surgery leaves no scars and very little bruising, getting you back to life quickly. Dr. Talei is committed to providing his patients with natural neck lift surgery that lasts and leaves their neck and jaw line with more definition and contouring. This simple procedure can quickly take years off your face and can fully restore your confidence. Contact our Neck Lift Surgery Specialists today to find out if this procedure is right for you. We look forward to hearing from you.